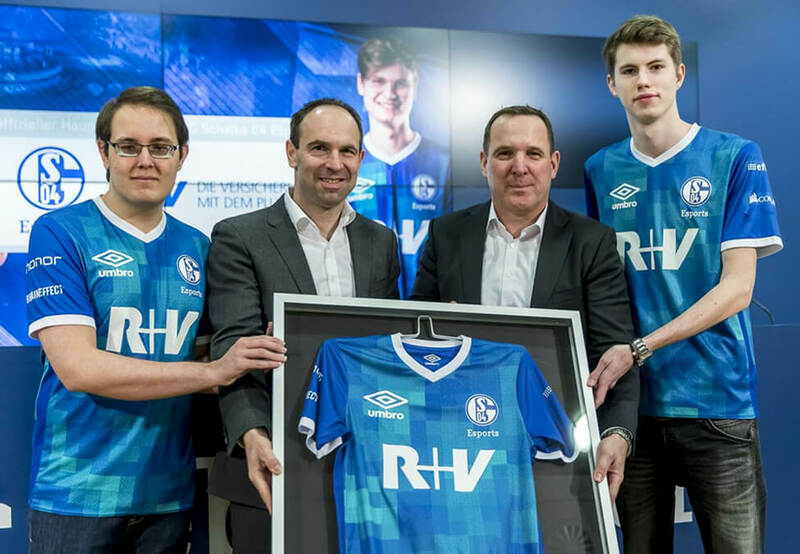 German football club FC Schalke 04 has renewed its partnership with insurance company R+V Versicherung until December 2022, and it has expanded the deal to cover its esports division. The deal now includes a jersey sponsorship for Schalke 04 Esports, displaying ‘R+V’ front and center. In August last year, Schalke 04 Esports announced two new partners in peripherals and hardware company CORSAIR and German smartphone brand Honor. Other partners of the division include AOK, BRAINEFFECT, Deutsche Glasfaser, effect energy, KONAMI, and Umbro. FC Schalke 04’s esports division currently fields teams in League of Legends, FIFA, and PES. The club will compete in the inaugural season of the Virtual Bundesliga, comprised of 22 teams from the Bundesliga and Bundesliga 2. It’s also set to compete in Riot Games’ European competition, LEC. Once known as the EU LCS, the LEC has implemented a franchise model and FC Schalke 04 was one of 10 teams to be accepted as a long-term partner. The action kicks off on January 18th. Esports Insider says: Schalke 04 Esports is set to have a big year with the inaugural seasons of the LEC and Virtual Bundesliga, so now is the best time for R+V Versicherung to get involved with the club’s esports efforts. This seems like a sign of acceptance for the esports industry on behalf of the insurance company considering the pre-existing relationship between the two parties.